The GRI Club Infra Brazil is part of the GRI Club Infra, a global club of leaders in the Infrastructure sector. GRI Club brings together investors, developers, operators, lenders, government officials and other industry specialists. GRI Club Infra Brazil hosts various activities among those behind closed doors club meetings throughout the year and the topics covered are requested by the membership. The annual conference is open to non-members, as the club meetings are reserved exclusively for the GRI membership. TozziniFreire has distinguished itself as a premier, full-service law firm by consistently providing legal services to companies in a wide variety of business sectors. Queiroz Maluf Sociedade de Advogados is a law firm specialized in Administrative Law, with broad experience in logistics and infrastructure. Machado Meyer's focus is to offer innovative legal solutions that anticipate scenarios and contribute to the growth of customer business and the transformation of realities. 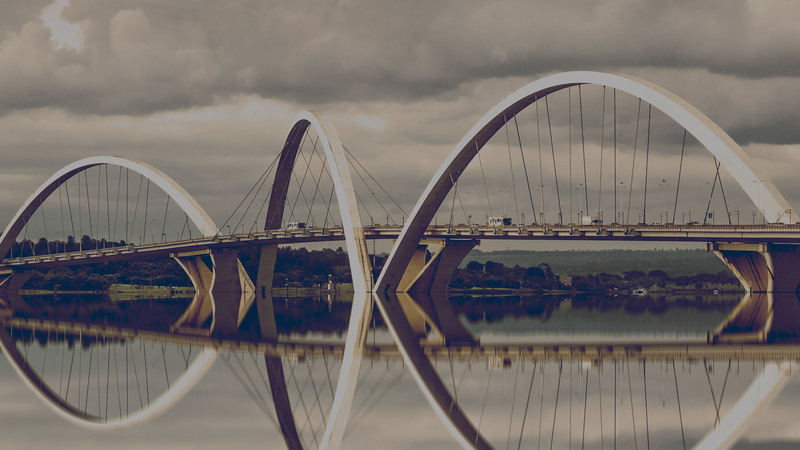 Founded in 1942, Pinheiro Neto Advogados is a Brazilian, independent, full-service firm specializing in multi-disciplinary deals and in translating the Brazilian legal environment for the benefit of local and foreign clients. Um dos principais escritórios de advocacia do Brasil. Somos referência em disputas e operações estratégicas. Trench Rossi Watanabe through a cooperation agreement with Baker McKenzie offers clients 55+ years of on-the-ground presence across 4 offices in Brazil for their most important energy and infra transactions and disputes. Ana Cândida experience involves various Administrative Law matters: public procurement and government agreements, concession of public services, public-private partnerships, public companies, administrative corruption, accountability and fiscal responsibility, corporate social investment, regulated sectors, administrative proceedings with public and controlling entities (Audit Courts and Comptrollers).She participated in relevant infrastructure projects related to airport, port,railway and water and sewage sectors. She is internationally referenced in relevant legal guides, such as Chambers & Partners Latin America and The Legal 500. She is also CP³P-F certified, that’s granted by the APGM Public–Private Partnerships Certification Program™. Ana Carolina Barretto leads the Projects practice at Veirano Advogados in São Paulo. She specializes in project finance and infrastructure development. Ms. Barretto represents sponsors, lenders, EPC contractors and equipment suppliers with their acquisition, development and financing of infrastructure projects. She has advised clients on some of the most prominent infrastructure and project finance deals in Brazil. Ms. Barretto is widely recognized by international publications such as Chambers Global and Latin America, The Legal 500, IFLR 1000, LatinLawyer 250 and Who’s Who Legal as a leading lawyer for project development and finance, energy and construction law. André Dabus is Director of Infrastructure, Power & Utility of Marsh Brasil , insurance broker authorized by Susep and lawyer formed by PUC-SP. He holds a postgraduate degree in Infrastructure Law from the FGV- SP and an executive MBA from Fundação Don Cabral. He is also professor of the MBA of Insurance and Reinsurance Law of ESSP- Escola Superior de Seguros Privados. Mauro advises domestic and international clients in a broad range of matters involving Infrastructure & Energy, including mergers, acquisitions, project finance, PPP, public and regulatory issues. Mauro has significant experience in the ports, transportation, power and oil & gas sectors. He also has extensive experience representing companies in structuring complex PPPs arrangements, and mergers and acquisitions of regulated sectors. Miriam is partner of Infrastructure and Project Finance areas of Stocche Forbes Advogados and has been working for oven 15 years in financial and corporate transactions involving companies and assets in infrastructure, industrial and real estate sectors. She is bachelor of Laws Degree from PUC-SP, postgraduate in Securities Law and Capital Markets from USP and has LL.M. from New York University School of Law. Ricardo Simões Russo has been a partner at Pinheiro Neto Advogados Corporate Area since 2009. He focuses his practice on financial and banking law, foreign exchange, M&A and securities markets. Ricardo has a LL.B. degree from the Catholic University of São Paulo (1997). He also has a LL.M degree in Banking and Financial Law from the Boston University School of Law (2002). Fluent in Portuguese, English, Spanish and Italian, he was a foreign associate of Cleary, Gottlieb, Steen & Hamilton in 2002 and 2003. He was admitted to the Brazilian Bar Association in 1998. Roberto Lima Neto is a partner in the areas of Infrastructure and Relations with Government, Project Finance and Banking and Finance of Cescon, Barrieu, Flesch & Barreto Advogados. It represents banks and other financial institutions, multinationals, multilateral institutions, public companies and other investors in a wide range of banking, infrastructure and project finance transactions, as well as energy and regulated industries. He holds a law degree from PUC-SP and a specialist in Business Administration from FGV. He also has a Masters in Law (LLM) from Duke University. He has been an international associate to a large New York office and is authorized to work in both Brazil and New York. J. Roberto Martins is recognized as a leading lawyer in the Energy & Natural Resources areas in Brazil. Mr. Martins advises on mergers, acquisitions, divestments, privatization and post-privatization deals involving major Brazilian energy and infrastructure companies. He has been leading major privatizations, concessions, mergers, acquisitions and greenfield development projects in the power, natural gas, steel, sanitation, ports, toll roads and general infrastructure. Rosane has extensive experience in structuring infrastructure projects in connection with concessions and public-private partnerships (PPPs) in sanitation, urban mobility, and health sectors, among others. She was responsible for the implementation of the first PPP project in the sanitation sector in the State of São Paulo in 2007. Since then, she has advised several clients on the structuring and legal modeling of public services, administrative contracts, participation in bidding processes, structuring of guarantees, and regulated sectors. She holds a postgraduate degree in International Executive Business Administration, with emphasis in Economic Law, from FGV.